New Delhi: Punjab minister Navjot Singh Sidhu, reportedly told by the Congress party that he cannot defy or speak against his boss Amarinder Singh, put out a clarification today calling the Punjab Chief Minister a "fatherly figure". "You don't want wash dirty linen in public. He (Captain Amarinder Singh) is a fatherly figure, I love him, I respect him, I will sort it out myself," Navjot Sidhu told reporters in Rajasthan, where he is campaigning for the December 7 state election. 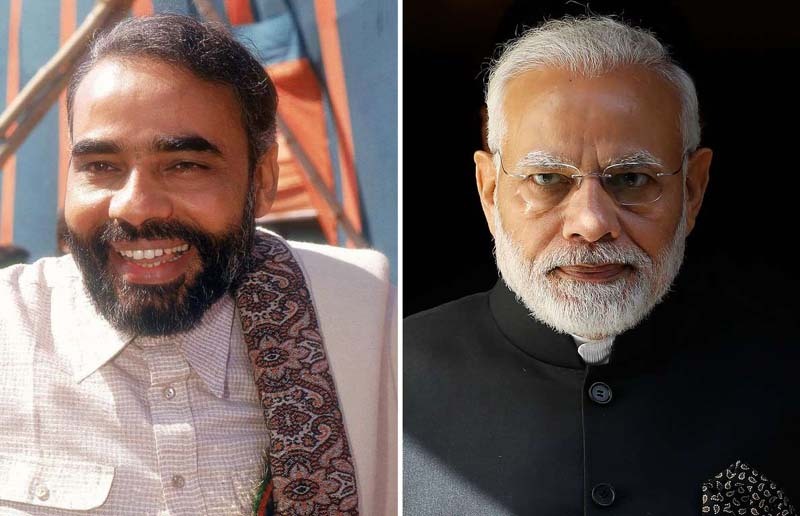 Sources say the comment followed the Congress's stern caution to Mr Sidhu. The outspoken cricketer-turned-politician has been told categorically that Captain Amarinder Singh's writ is important and he should not speak against him. Last week, the Punjab Congress feud escalated as Mr Sidhu insisted on travelling to Pakistan for the ground-breaking ceremony of the Kartarpur corridor, in what became his second trip across the border since he attended cricket legend Imran Khan's oath-taking as Pakistani prime minister. 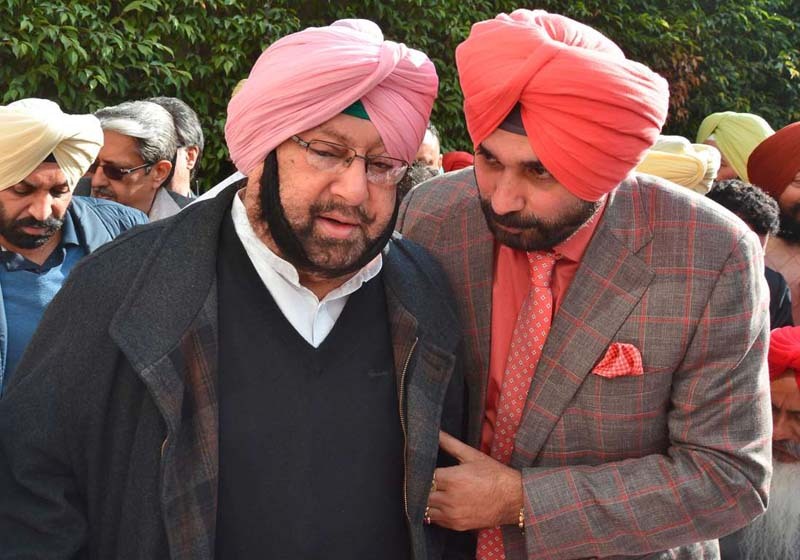 Amarinder Singh had said that he had tried to talk Mr Sidhu out of it, but had been told that he had made a commitment. Mr Sidhu, asked whether he had defied his Chief Minister -- who is popularly known as "Captain" -- had quipped: "My captain is Rahul Gandhi. He has sent me everywhere. Our captain's captain is Rahul Gandhi." The very next day, as that comment was widely reported, Mr Sidhu tweeted: "Get your facts right before you distort them, Rahul Gandhi Ji never asked me to go to Pakistan. The whole world knows I went to Pakistan on Prime Minister Imran Khan's personal invite." Several Punjab ministers have called for Mr Sidhu's exit from the cabinet, saying he should quit the chief minister's "team" if he doesn't consider him his captain. "We are all solidly behind Captain Amarinder Singh," said Punjab minister Gurmeet Singh Sodhi. "If he does not consider Captain Amarinder as his captain then he should resign on moral grounds from the cabinet and do whatever work is assigned to him by Rahul Gandhi," said another minister, Rajinder Singh Bajwa. Mr Sidhu's "insubordination" is expected to be taken up at a cabinet meeting called today in Punjab at a time he is away in Rajasthan. Congress lawmaker Ravneet Singh Bittu, demanding an apology from Mr Sidhu, said: "All the streets in Ludhiana are filled with posters that say 'Punjab's Captain is our Captain. This is the people's sentiment. If he considers the Chief Minister his father, why is he hesitating to apologise."